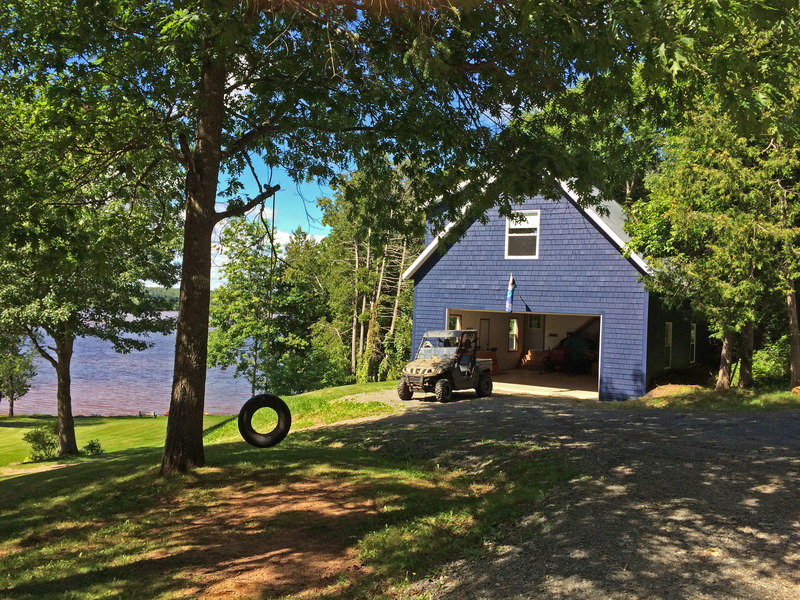 Inviting Year-Round Furnished Waterfront Cottage on 2.4 Acres! 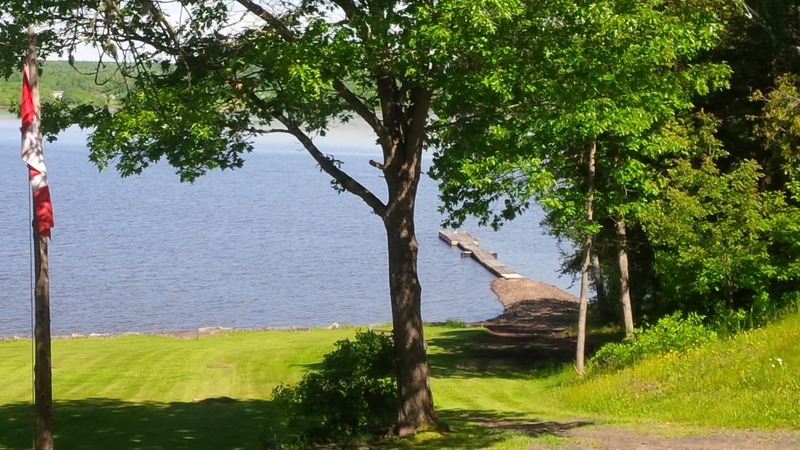 If you’re thinking of a year-round cottage not only for New Brunswick’s glorious summers but in the cool months as well, don’t miss this opportunity to own one of the most picturesque properties on the water. 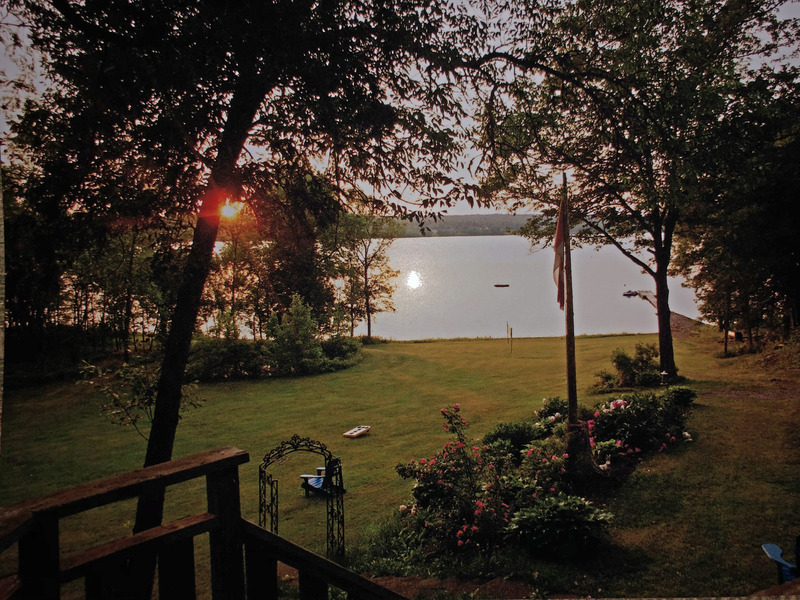 2.4 Scenic acres, rolling meadows and majestic trees reach right to the water’s edge boasting 257 feet of shoreline and a private gravel beach, one of the few on the lake! Deep water anchorage, breakfront and dock are all set for summer fun, the only thing missing is you and your boat! 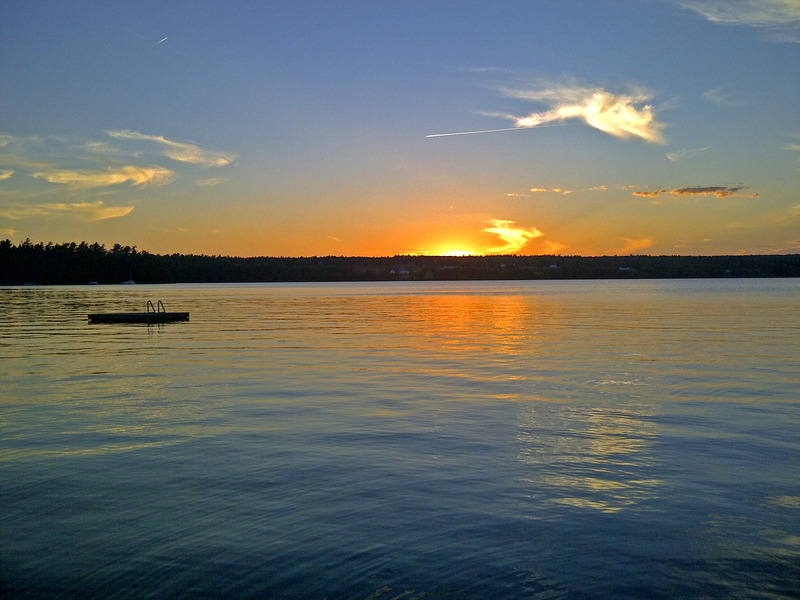 Invite family and friends up for a weekend of swimming, corn boil on the beach, sailing, water skiing, Seadoos or kayaking. Don’t be surprised if a weekend is not enough, when you view the property, you’ll understand why! 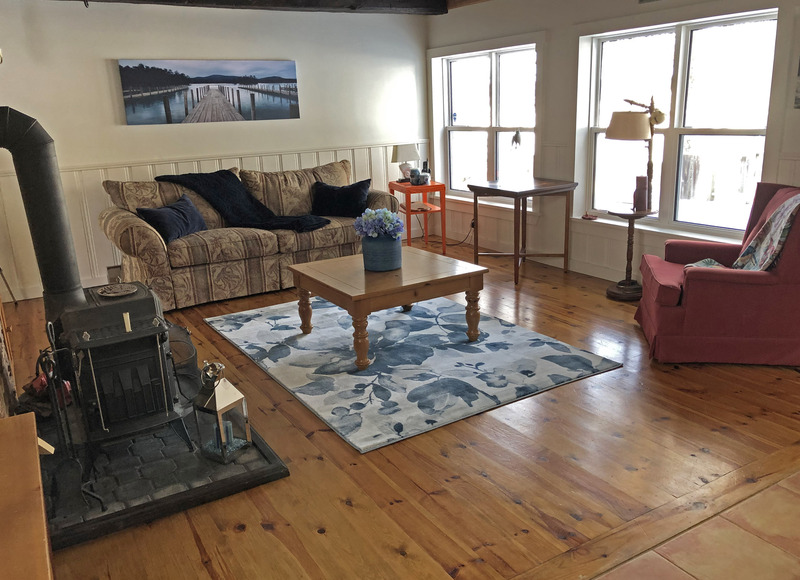 This well-kept waterfront cedar-shingled home or year-round vacation cottage is in mint condition and located at 1588 Scenic Narrows Blvd, Cambridge Narrows on Washademoak Lake. 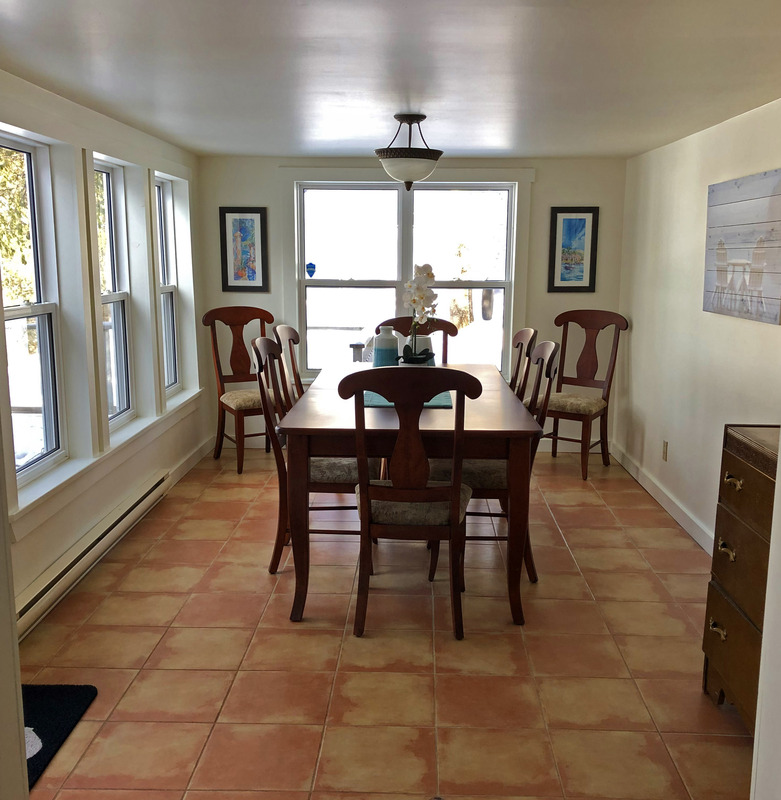 Enter the furnished cottage through the vestibule/mudroom the perfect place to leave wet sandy boots and flip flops. This are is complete with closet and the washer and dryer conveniently here on the main level. This space opens directly into the stylish crisp white custom kitchen with stainless steel appliances, quartz counter tops, central island, self-closing drawers and cabinet doors, plenty of cabinetry and heated ceramic floor. Off the kitchen is a full bathroom with tub/shower, double sinks, quartz vanity top and heated tile floor. The kitchen is open concept with the casual family room with high beamed ceiling, wood floors and cozy airtight wood-burning fireplace. Also open to this space is the nice-sized dining area with two walls of glass overlooking the lake with direct deck access. 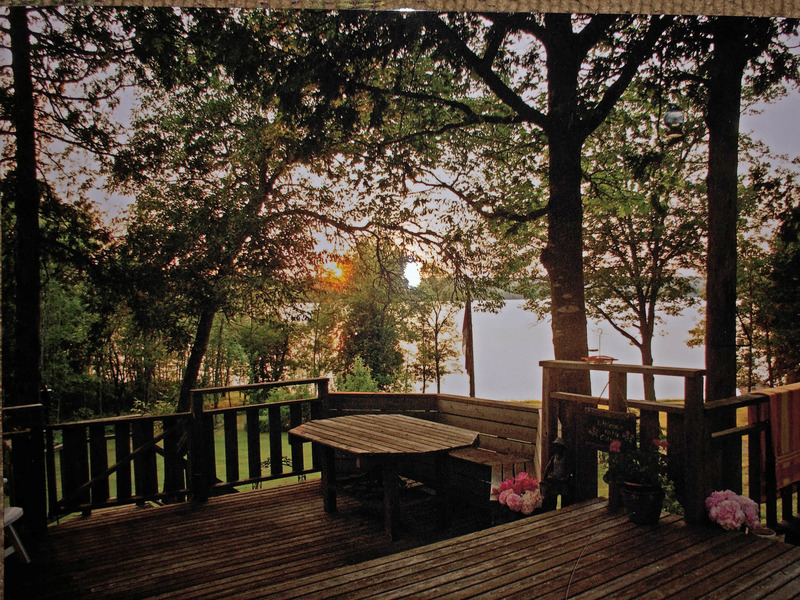 The deck has glass panels to be sure your water view is not obstructed in any way. Sit back and relax as the refreshing breeze blows in off the water, the leaves rustle in the trees and the loon sound their haunting call. Is this heaven? No, but it’s close! The spacious master bedroom is on the main level and features a beautiful water view, wood floors and modern full ensuite bathroom with shower. Up the staircase we find the second bedroom which is large with water view and wood floors. A bridge on this level leads over the family room to the flex room which can have many uses as a home office, gym, or a room for sewing, crafts or play! The finished walkout daylight basement adds additional space with a rec room also with water view or an additional bedroom if desired plus a heated storage room. This could be the location of the man-cave if you like as well. The over-sized 2-car heated garage can accommodate your vehicles plus kayaks, canoes, bicycles, snow mobile, etc. This garage has a finished loft consisting of two nice-sized bedrooms both with lake view and full bath with tub/shower (bringing the total to three) plus a convenient intercom system connecting the loft to the house. “Dinner is ready!” What a perfect place for visiting guests, family and the teenagers will fight for it! This brings the bedroom total to four and if you count the basement space it can be five! The electrical system is 200 amp, there is a wired-in generator panel, drilled well and large septic tank with a field. 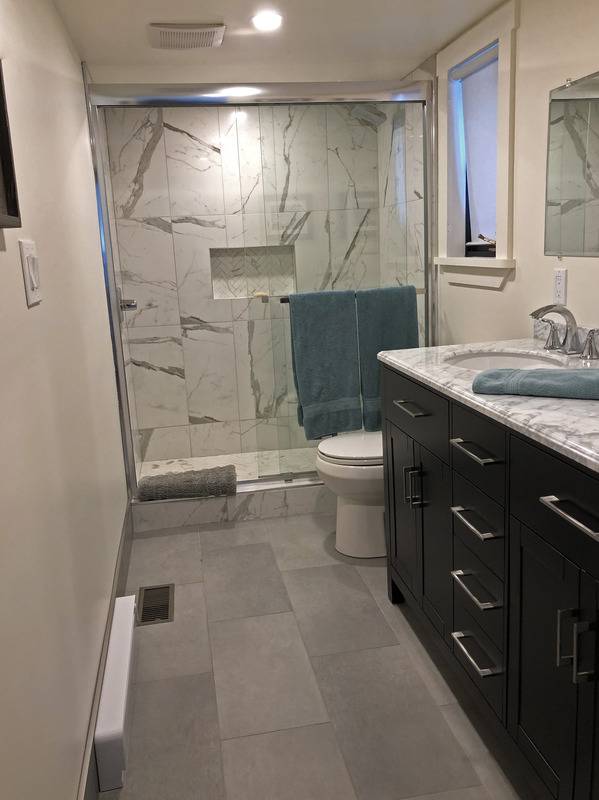 The ceramic floors are heated which includes the bathrooms and kitchen and the ductless heat pumps provide economical heat and refreshing air conditioning in the warm summer months. There is plenty of parking and the property is located within five minutes of the Irving Convenience Store and Gas Bar. Cottage comes complete with stainless steel, fridge, slide-in stove, microwave, dishwasher, washer, dryer, furnishings and boat dock. All set to go, the only thing missing is you! 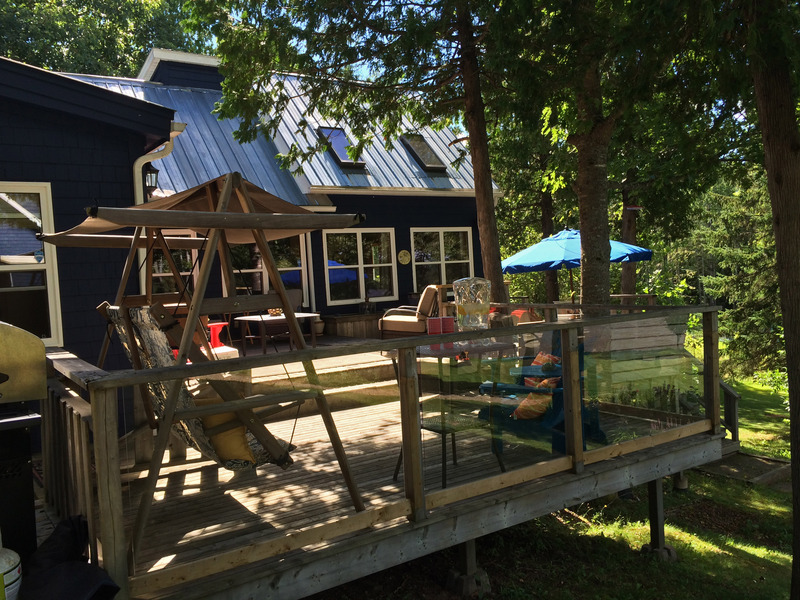 If you’re thinking of a dream cottage, dream no longer, this is the one! For more information and your appointment to view call or text Global Luxury Specialist Katherine Bacon at 506-650-8575 or Charles Turnbull at 506-636-0748.